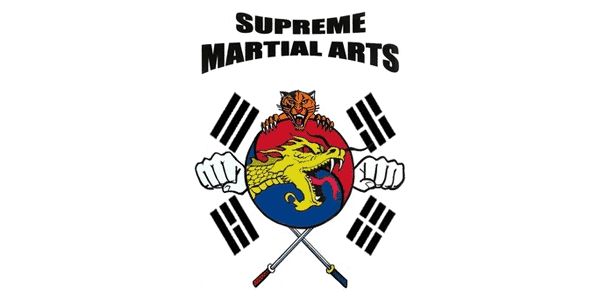 The purpose of SUPREME MARTIAL ARTS ACADEMY is to bring mental and physical awareness to the wonderful art of Taekwondo, where respect, leadership, confidence & discipline are consistently practiced and Taekwondo becomes a way of life. Instructor Brown teaches the importance and discipline of traditional Taekwondo while simultaneously applying the relevance of this martial art in its modern form. Supreme Martial Arts Academy is an official member of USA Taekwondo (USAT), which is recognized by the United States Olympic Committee as the governing body for the sport of taekwondo in the United States, and the gold standard for club & athletes on the Olympic pathway. Supreme Martial Arts Academy is a FAMILY OWNED and OPERATED TAEKWONDO SCHOOL made up of Instructor Dondrell Brown, Sr, his wife and his six sons. The BROWN FAMILY has embraced the art of Taekwondo and has made it our mission to extend this knowledge to anyone who is willing to learn. COME JOIN OUR FAMILY!